The Core i5 configuration is hundreds of dollars cheaper than the Core i7 option and yet it performs faster in multi-threaded workloads. We highly recommend skipping over the i7 upgrade in favor of other options such as Sure View, WAN, or the brighter Outdoor Mode backlight. 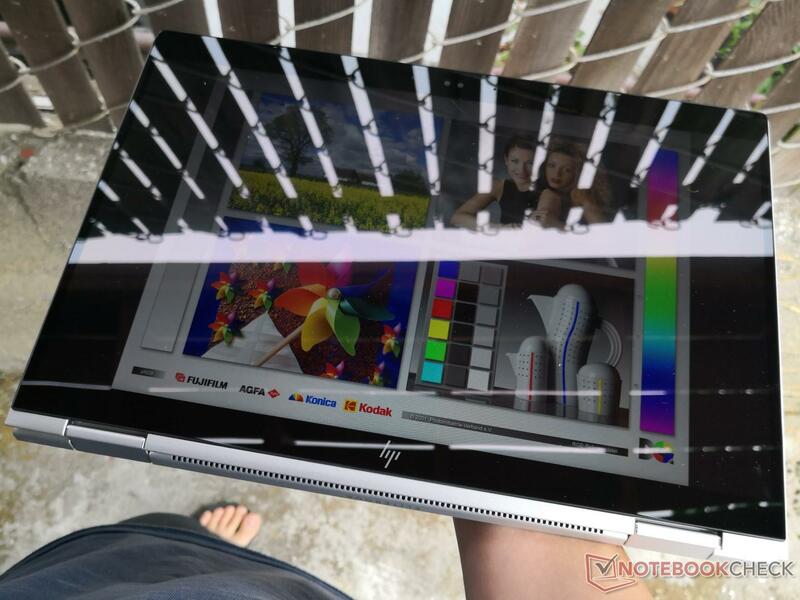 In our review of the HP EliteBook x360 1030 G3 convertible, we praised it as is one of the best 13-inch convertibles in the market. It seemingly has it all including 4G LTE, Thunderbolt 3, good speakers, excellent keyboard feedback, over ten hours of real-world WLAN battery life, and one of the brightest displays available on an Ultrabook. After all, there are good reasons why this HP laptop retails for almost twice the price of a XPS 13 or other traditional Ultrabook. Nonetheless, we discovered some odd performance results between the two HP SKUs we tested. More specifically, the Core i7-8650U SKU would have slower CPU performance than the Core i5-8250U SKU. CineBench R15 Multi-Thread reveals that the Core i5 SKU can be 10 percent faster than the Core i7 SKU (493 points vs. 447 points). A potential culprit could be throttling especially when dealing with small and super-thin convertibles such as our HP. To test this, we ran CineBench R15 Multi-Thread in a loop on each system with our results graphed below. Throttling occurs on each SKU and so the processors are fastest during the first benchmark loop before steadily declining thereafter. What's interesting, however, is that the Core i5 SKU manages to consistently outperform the Core i7 SKU even after taking into account the throttling. We suspect that unforeseen background activity could be at play here. Our benchmark tests on the Core i5 SKU were performed in early August of 2018 while our tests on the i7 SKU were performed three months later in early November. Microsoft Windows and/or HP updates in between those months could have impacted overall performance. The takeaway message here is that the performance delta between Core i5 and Core i7 Kaby Lake-R can be very minuscule and variable depending on the system and implementation. In this case, users would be better off purchasing the Core i5 EliteBook x360 1030 G3 instead of the Core i7 option while saving a couple hundred dollars in the process. This isn't the only case where we discovered faster performance from a cheaper Core i5 machine. 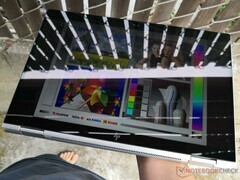 The ThinkPad X1 Tablet exhibits similar results between its i5 and i7 SKUs as well.